Does Phoenix Have an Official Cocktail? [caption id="attachment_380" align="alignleft" width="101" caption="Manhattan Cocktail"] [/caption]With the trend of vintage cocktails in full swing I wondered about the story behind the Mahattan cocktail. There was a story about the drink being created at the Manhattan Club for Winston Churchill’s Mother, but this is not true. In reality it was a drink made to celebrate the isle of Manhattan. There was also a Queens, Brooklyn, Bronx and Staten Island. Who makes the best Manhattan in the Valley? My experience is Mabel’s on Main in Scottsdale makes a great one, Hanny’s makes a good one, and Durant’s as expected and delish. What about you? For you Mixologist? Arizona Centennial is quickly approaching and I think it time for some Arizona themed cocktails. What would a Scottsdale, Phoenix, Tucson, or Bisbee taste like? Tucson - a cocktail with recently revived A-1 beer. The 2nd Season of Marshall Shore: Retro Spectacular comes to and end on Thursday, April 14, at Phoenix Metro Retro located at 708 W. Hazelwood St. at 7p. With Centennial coming I have hung Hist-O-taner for hire shingle out and have be talking with some folks about other events. If you would like me to come speak at you next event, contact me. I want to bring Arizona History to you! Centennial is rapidly approaching, with past Marshall Shore: Retro Spectacular venues including the Heard Museum, Design Within Reach in Scottsdale, and regular shows at Phoenix Metro Retro. 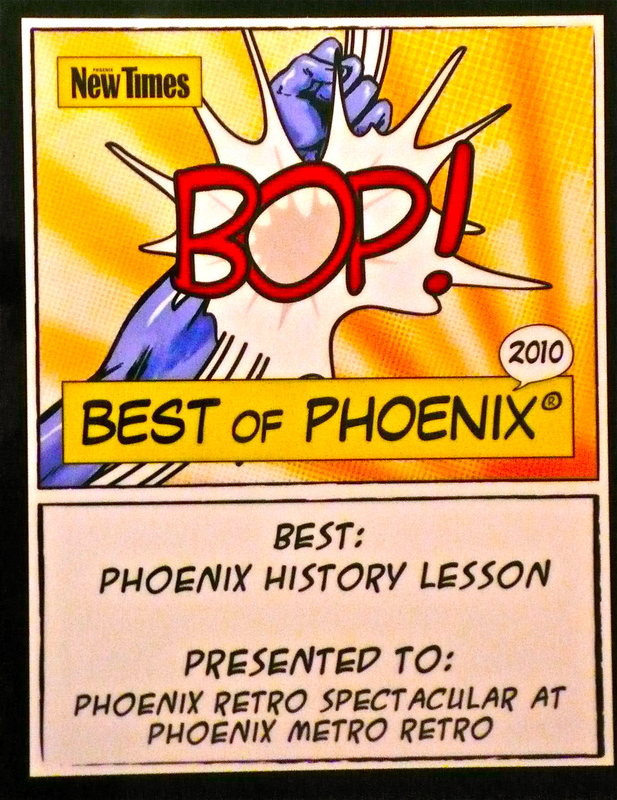 Also, named a Best of Phoenix by the Phoenix New Times. Want to learn Arizona history, have fun and being entertained? 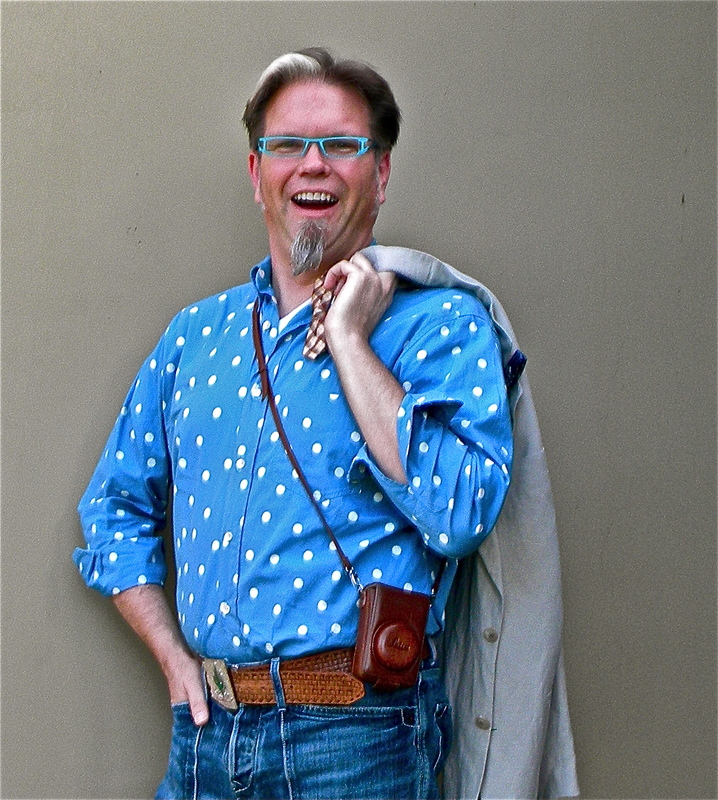 I am officially hanging my shingle out as a Hist-o-tainer for hire. That's right! I want to chat with you about opportunities to bring Arizona history alive to your club, office, school ... whatever group. Give me a call and get let's make a date.